A powerful documentary which examines some of Israel's most remarkable Prime Ministers and their accomplishments. Historic events such as the Six Day War and Israel's insider negotiations to build a strategic relationship with the United States are looked at. The ongoing fight against terrorism, the Yom Kippur War and Israel's struggles to establish a viable economy along with a defense apparatus are also explored. 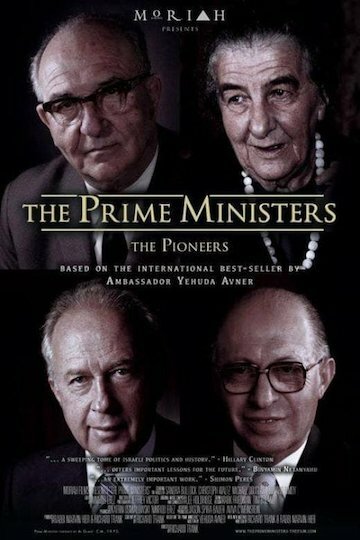 The Prime Ministers: The Pioneers is currently available to watch free on Tubi TV, Vudu Free and stream, download, buy on demand at Amazon, Vudu, Google Play, iTunes, YouTube VOD online.